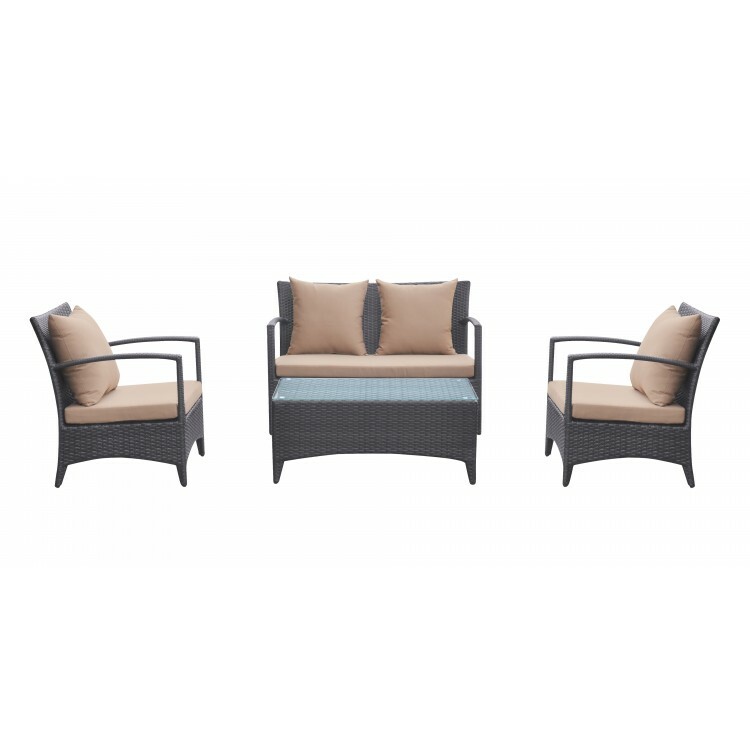 The Armen Living Havana 4 piece outdoor patio set is certain to be a beautiful addition to any contemporary household patio. 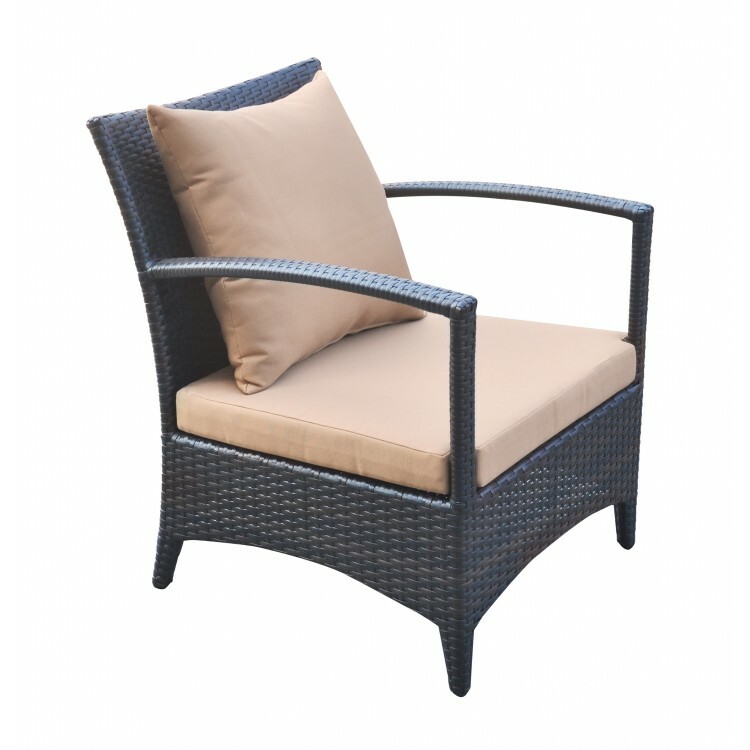 This practical, yet stylish assemblage features two armchairs, a loveseat, and a coffee table. 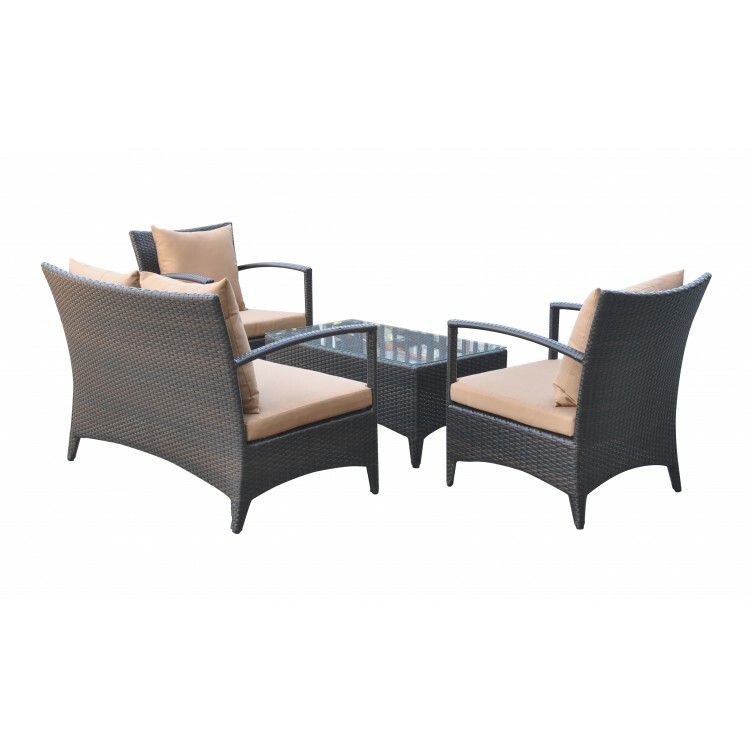 Expertly designed to be durable and long lasting, the Havana set is made of study aluminum covered over by beautiful black powder coat finished HDPE wicker. 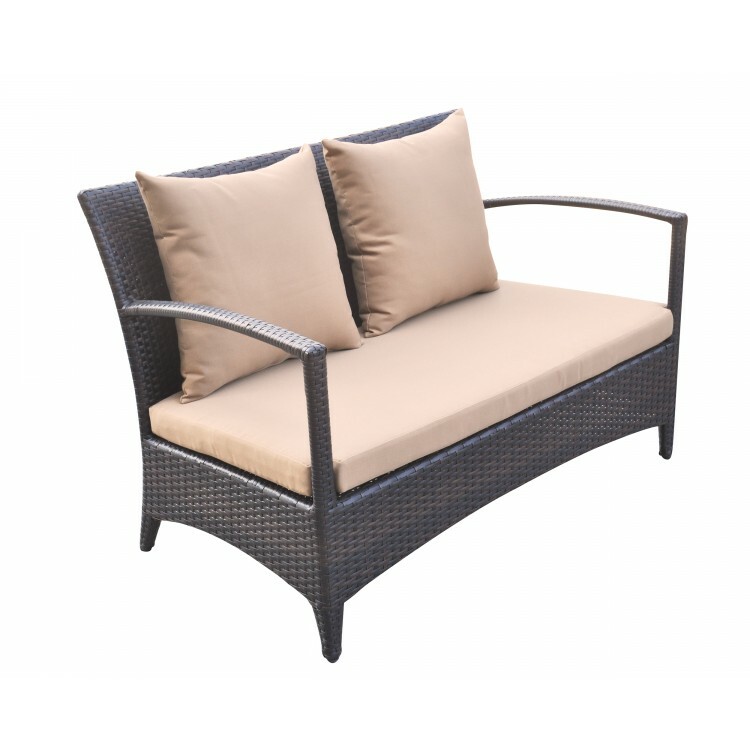 The loveseat and armchairs include comfortable seat and plump back cushions, providing an exceptional degree of comfort and support. 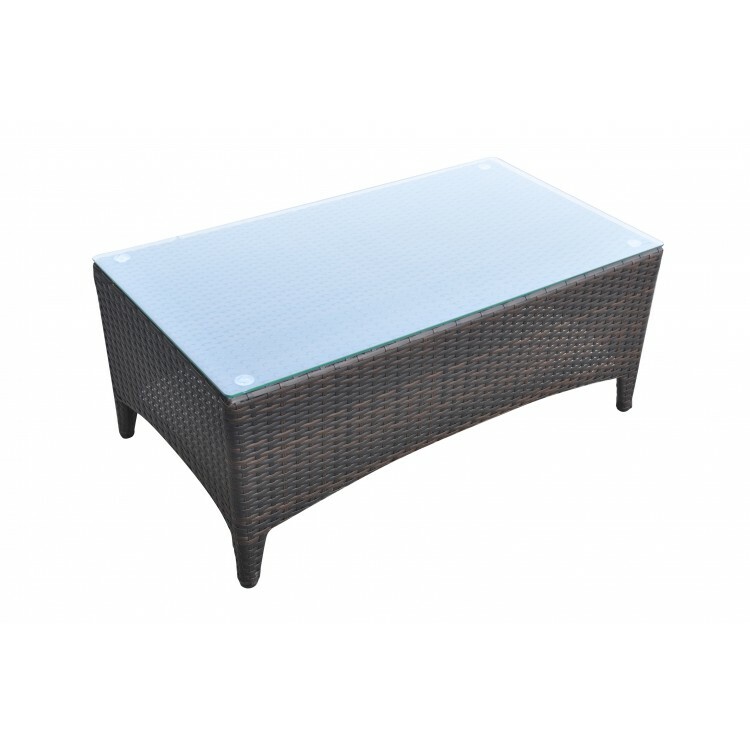 The wicker table features a durable tempered glass top that compliments the rest of the pieces wonderfully. 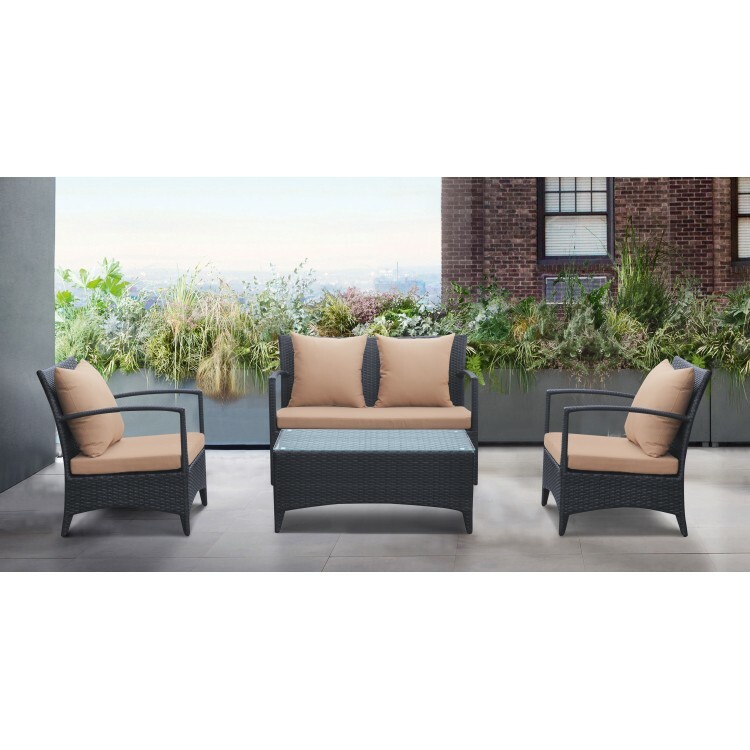 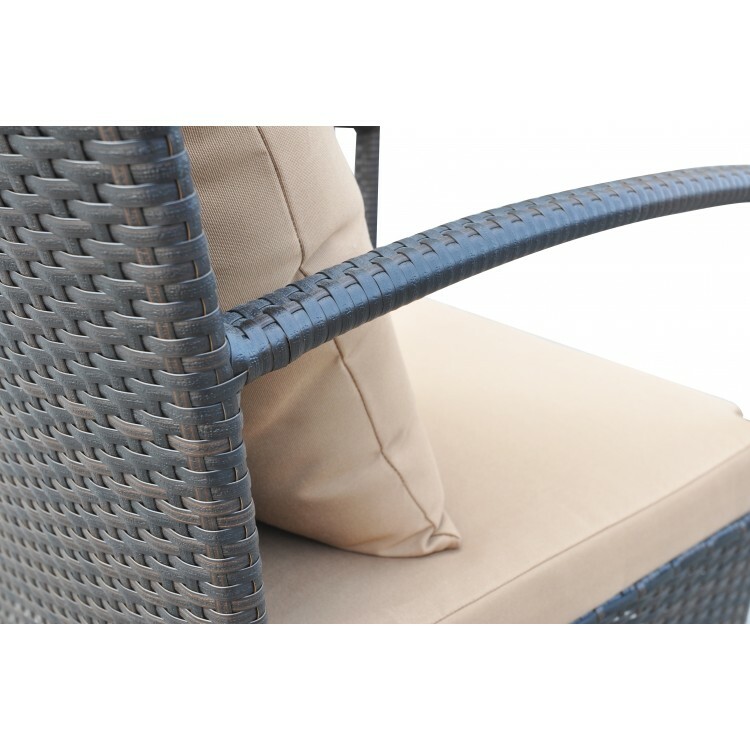 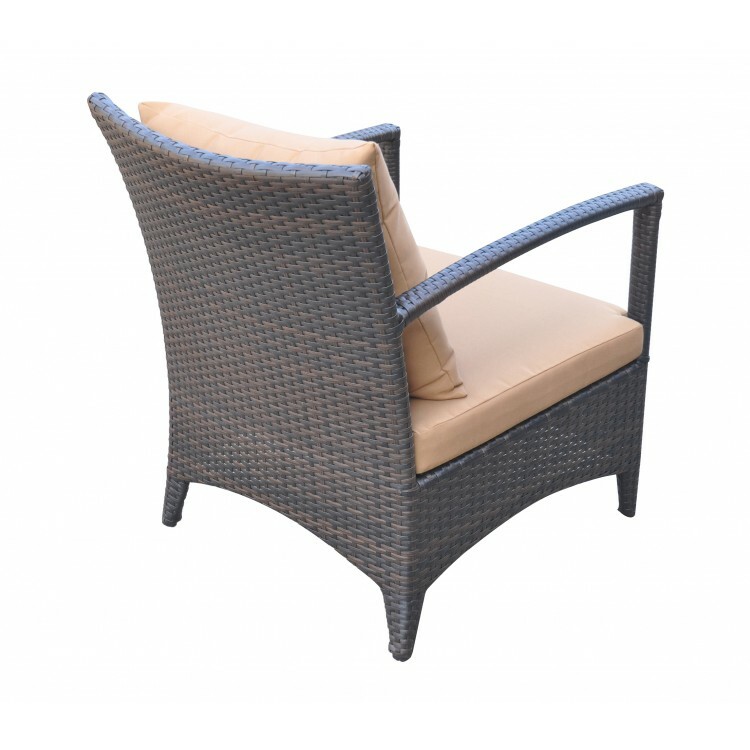 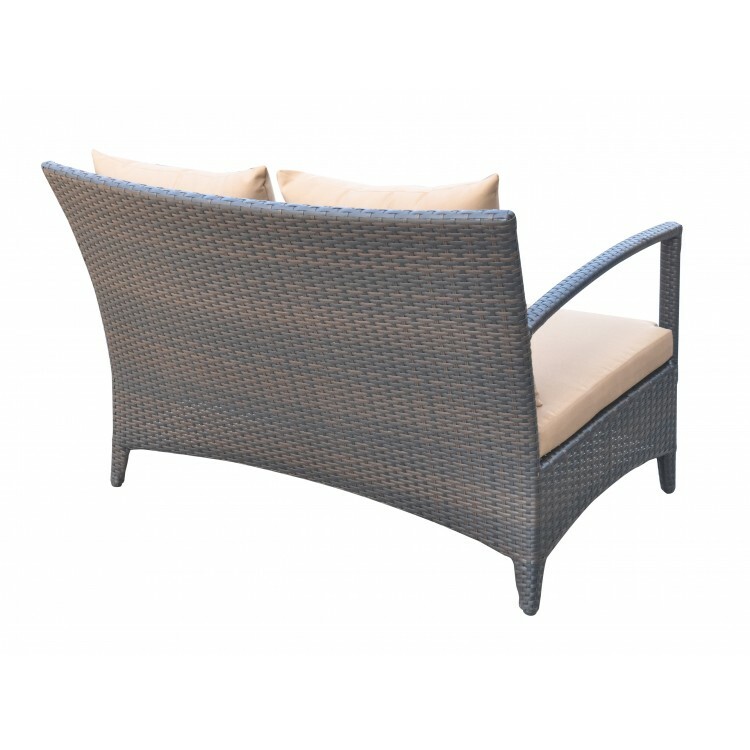 The Havana 4 piece is 100% waterproof and is available in a black powder coated finish with brown fabric cushion upholstery.